Normally considered a protective garment for working people, the apron also has a long history as a decorative item of dress. Such decorative examples were clearly impractical, being made of expensive, often flimsy, fabrics decorated with lace, embroidery or beading (see Related Items). 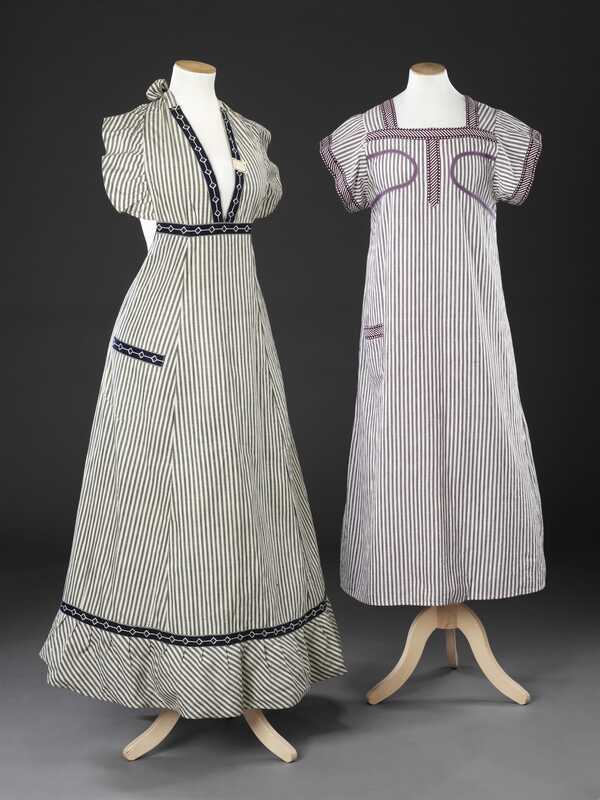 Worn by middle and upper class women for pastimes such as needlework, they were only nominally protective. 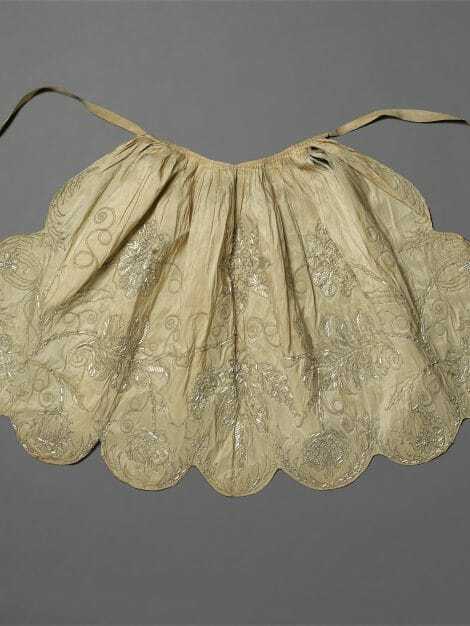 During the later decades of the 19th Century aprons continued to be worn for polite, but more active pursuits such as lawn tennis and gave an impression of efficiency when worn to organised charity bazaars. These two examples from the early years of the 20th Century marry the decorative and the practical, and were probably marketed at middle class women for light housework or cooking duties. Providing a good area of covering of the clothes beneath, they are made of hardwearing cotton attractively trimmed with bands of printed pattern. 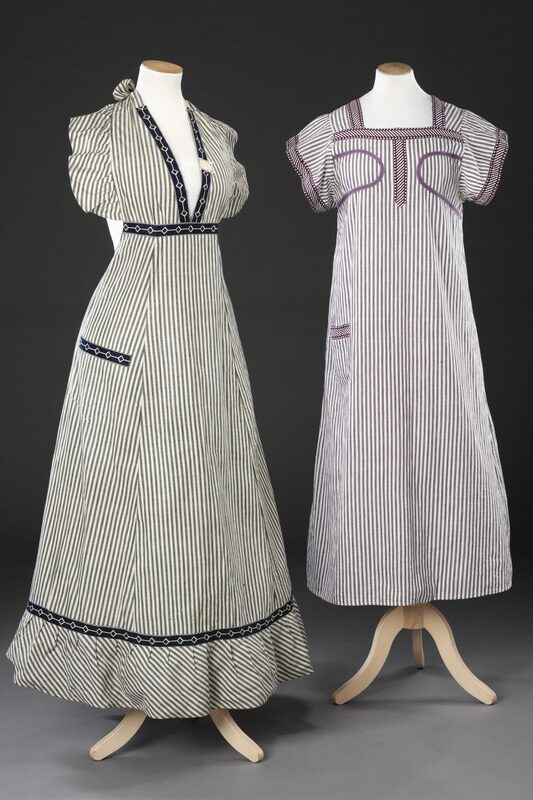 Although aprons were frequently made at home with the help of commercial patterns, these are likely to be unused shop stock as the one on the left of the image has a paper label still attached.